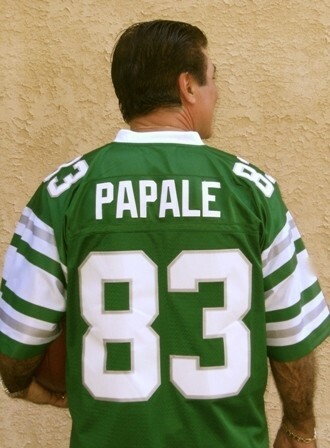 What better way to support your favorite team than wearing this Vince Papale jersey? The front and back body of this high-quality jersey is made of durable nylon diamond back mesh and features a newly developed diagonal pattern 2-tone flat tricot mesh. The team-colored jersey proudly displays the embroidered single layer tackle twill numbers on the chest and Papale on the back. This jersey delivers superb value by combining quality and details that are comparative to an authentic jersey with affordability rivaling that of a replica jersey.